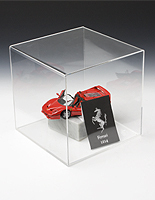 These baseball display cases, also known as acrylic holders, allow customers to show off their prized possessions and collectibles. 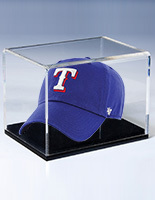 These baseball display cubes also protect your memorabilia while on display in this acrylic casing. 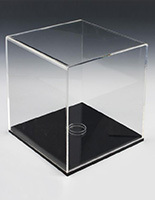 Fabricated from 1/8" acrylic, this acrylic baseball display is durable for many years of use. 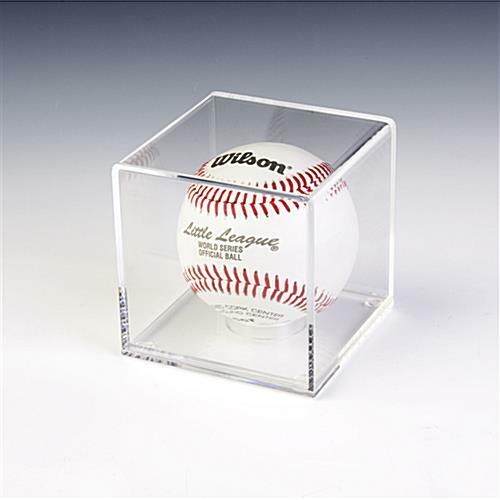 Customers can use this MLB baseball display holder to ensure collectibles and other valuable items stay in pristine condition. As a result, these baseball display cases are an ultimate way to showcase memorabilia. Made from clear acrylic, these MLB collectible displays easily coordinate with any décor or setting. 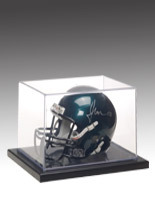 These memorabilia holders, baseball display cases are often seen used at home, in an office, store, school or museum to display signed baseballs, glass figurines and other types of collectibles. 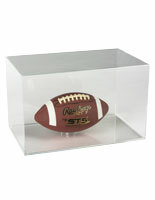 These acrylic sports cubes are a great way to keep displayed memorabilia free from dust and debris. Each of these baseball display cases are equipped with a removable riser for showcasing different collectible items. The riser allows customers to showcase any round object. 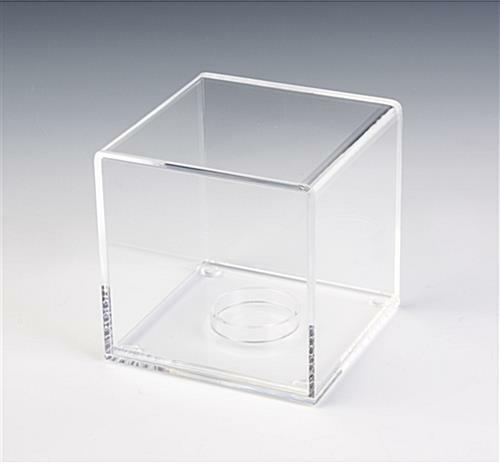 Users can also remove the ring to display any flat-base memorabilia items that fit into the 3-3/8"w x 3-3/8"h acrylic baseball display cube. 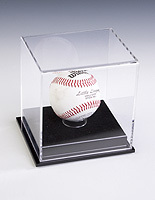 With these baseball display cases, collectibles can be displayed by placing the object on the provided acrylic riser. 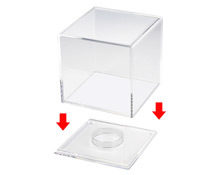 Once in place, simply cover the item with the acrylic lid. 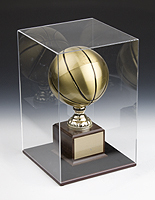 These sports display holders, baseball display cases are also available in other sizes, for displaying golf balls, figurines, antiques or model cars. 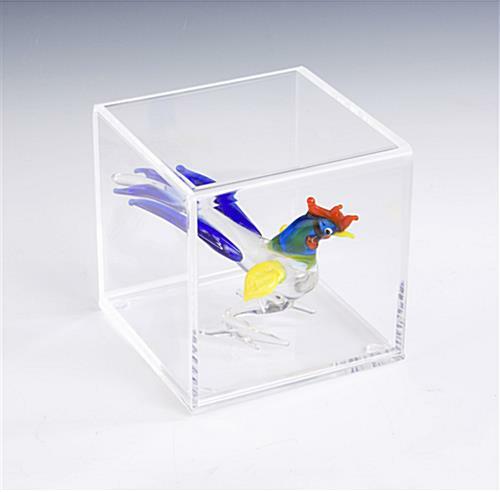 These baseball display cubes are available in glass and wood material as well. Thanks for another great review, Rachel! We appreciate it!